Lana Dumitru is a young Romanian fashion designer who has recently finished her research in London and earned her PhD in Digital Arts and Fashion. You can consider Lana an artist manifesting her beliefs through design and fashion as you would find Lana’s clothing in an art gallery or in a museum, rather than in a shop. Her original style comes from the fact that she designs all her visuals and patterns, transforming pure white fabrics into strong unique conceptual pieces through the means of digital printing, laser cutting etc. 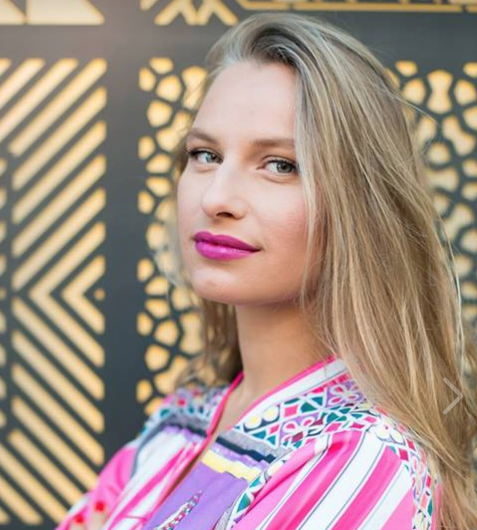 She has been named the best young Romanian fashion designer ( Forbes Award) and she was included by Forbes in Top 30 under 30 entrepreneurs. Her work has been showcased at London Fashion Week/International Fashion Showcase, Strasbourg Fashion Week, Holon Design Museum, Kalmar Art Museum and Malmö Design Centre Sweden, Salone del Mobile Milano, Horniman Museum London, National Village Museum Bucharest, Cultural Institutes, Art Galleries, Design Weeks and more. Vlad Tenu is a Romanian architect based in London. 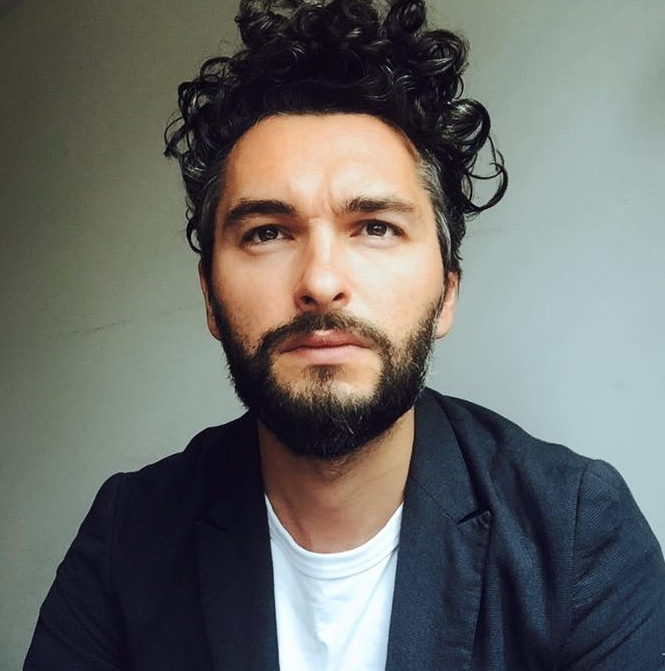 From architectural design to art installations and teaching, Vlad Tenu’s work involves a continuous explorative research into spatiality, scale and materiality. Inspired by the underlying processes of nature, his workflow is a symbiotic mix of art and science including mathematical and programming techniques materialised into sculptural artefacts, interpretable and adaptable to anything from jewellery and fashion to product design, architecture or simply art. His artistic work includes award-wining pieces such as Minimal Complexity - the winner of the TEX-FAB Repeat Competition Houston in 2010 and the AIA Houston Design Award for ‘Divine Detail’ 2012. The piece has also been exhibited at London Festival of Architecture and London Design Festival 2012. Solo exhibitions include Synthetic Nature London 2013 and Glimpses of Infinite Symmetry Bucharest 2014, but he has also curated Process, an exhibition on cutting-edge architectural designs in Shanghai in 2014. His previous fashion collaborations include a piece for CLON8 at Paris Fashion Week 2015 and a modular pop-up shop for the shoe designers Del Rio London at LeBonMarche in Paris. His over ten years of professional experience includes working with practices such as Surface Architects, Urban Systems and currently with the Sterling Prize Winner AHMM. Assembly Team: Mara Grigoriu (Team Leader & Jewellery Specialist), Dimos Moysiadis (Team Coordinator), Ciprian Teodorescu (Team Coordinator), Ana Avram, Stefania Ruslan, Raluca Gheorghe, Alexandra Lulache, Andreea Cucu, Miruna Sandu, Irina Pavel, Casiana Horobeanu, Alexandra Miu, Gloria Ruxandra, Antonia Ispas. Copywriting: Julien Britnic. Photography: Christian Tudose, Oana Radu, Sorina Tigaeru, David Nwickpo. Model: Andra Mirona Axentoi. Hair: George Cozma, Make-up: George Doroftei. Special thanks to: Stefan Florescu, Ana Maria Mihail. *Huge thank you to the Swarovski team (Iulia Boboc, Sylvia Apostolopoulou, Andrei Cristea and the amazing global HQ team), Studioset (Damian Groves, Anton Groves, Radu Fulga and their great production team).